Welcome to Day 3 of Apple Week. I hope you have been having as much fun as I, perusing all the amazing recipes being offered. My stomach starts growling just thinking about it. If this is your first day joining us in this celebration you need to go to my Welcome Post. There you will learn all about this great party being hosted by Carlee of Cooking with Carlee. You will also meet our sponsors and be able to enter into an amazing giveaway. 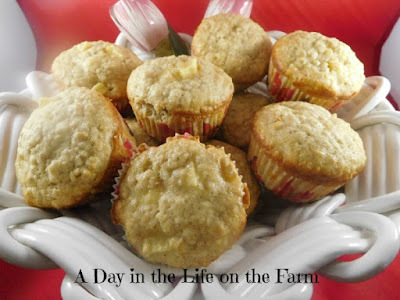 That very first day I shared these moist and delicious muffins that are great to have on hand now that school is back into full swing. Sometimes the mornings can get away from you and these tasty morsels are perfect to hand your child as they are running out the door saying they don't have time to eat. 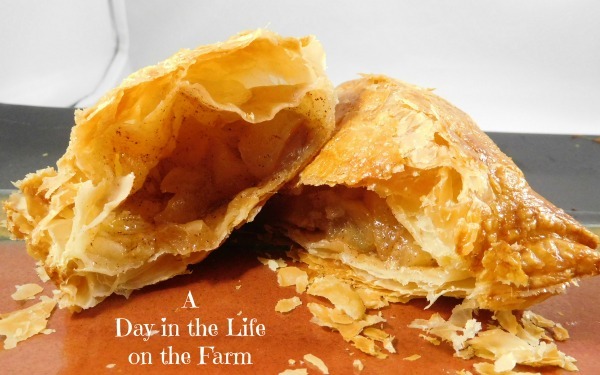 Yesterday we enjoyed some tasty apple turnovers that were inspired by the book, Farmer Boy, by Laura Ingalls Wilder. 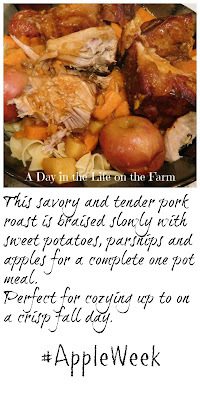 In fact, we are going to enjoy them again tonight for dessert after this fabulous pork roast I'm sharing today. 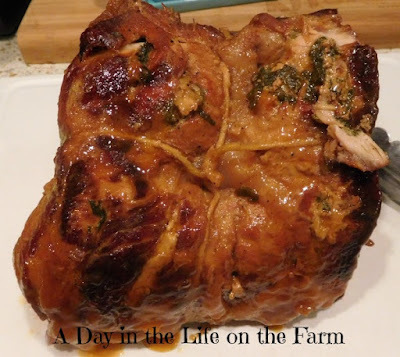 This recipe transforms an inexpensive pork shoulder roast into a masterpiece. Filled with garlic and sage and browned before braising imparting great flavor into the meat itself. I had received a pair of clip n snip shears from Casabella , one of our sponsors for this event. They quickly and efficiently chopped the sage for insertion into the roast along with the garlic slices. 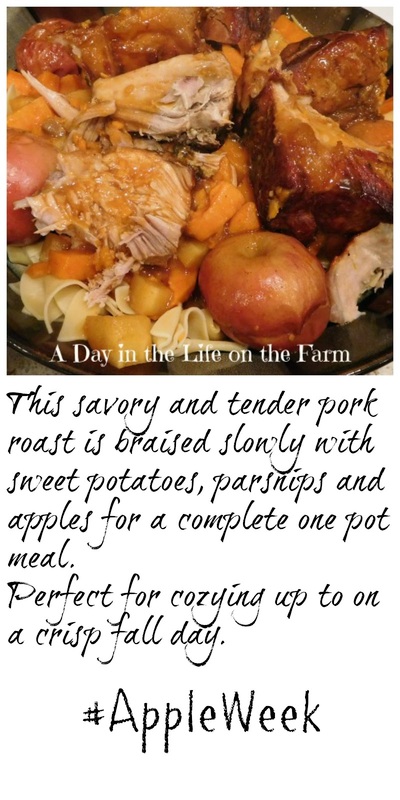 This pork roast screams autumn to me. Slow braised until tender, flavorful and juicy. Surrounded by veggies and whole apples it is an elegant presentation. The photos do not do it justice but trust me when I say your family and any guests you may have over will be duly impressed. Our friend, Chris, joined us for dinner when I served this and exclaimed "Wow, this is a restaurant worthy presentation". Did you know that we are in the midst of Family Meals Month? It's true. You can learn more about it over at the Food Marketing Institute. This would be a great meal with which to lure your family around the table during this time. I served this over buttered egg noodles but mashed potatoes would also make a great side or if you are watching your starch intake it is perfect just as is but I'm afraid, at the very least, I would still need some good bread to sop up that delicious sauce. 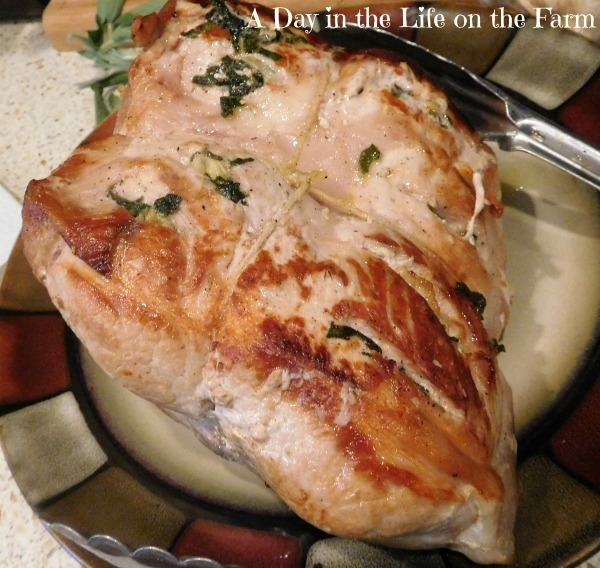 This recipe was very slightly adapted from one I found in Cuisine at Home. I received no monetary compensation for the writing of this post and all opinions written are exclusively mine. I hope you enjoy this wonderful dinner as much as we. I was very proud to serve it to our guest. Disclaimer: Thank you to #AppleWeek Sponsors: Rodelle, Dreamfarm, Casabella, Flahavan's Irish Oatmeal, Pryex, Chicago Cutlery, Rainier Fruit, and Veggie Wash for providing prizes for #AppleWeek free of charge. These companies also provided the bloggers with samples and product to use for #AppleWeek. All opinions are my own. Trim exterior fat from the roast and tie with twine by wrapping it around the roast, crossing the twine and bringing it around the roast in the other direction. Pat pork dry and cut 1" deep slits all over the roast. Combine the chopped sage leaves with the salt and pepper. Insert a slice of garlic and some of the seasoned sage into each of the slits. Heat the oil in a large dutch oven over med high heat. Add the pork and sear until browned, about 10 minutes per side. Remove the roast to a plate and set aside. Add the chopped apples, onion and celery to the dutch oven and cook in the pan drippings until onion softens, stirring frequently. Stir in tomato paste and then mix in the flour. Pour in the wine and cook, scraping up any browned bits stuck to the bottom of the pan. Add the cider and reserved sage, bring to a boil. Return the roast and any collected juices to the pot, cover and place in a preheated 325*oven for 2 hours. Remove the pot from the oven and transfer the roast to a plate. Strain the sauce from the dutch oven into a large bowl, discarding the apples, onions and sage leaves. Return the strained sauce to the dutch oven along with the roast and any juices collected. Cover, return to oven and braise another 1-1 1/2 hrs. While roast is braising prepare the apples by scoring them around the middle. Peel and dice the sweet potatoes and parsnips. Add the apples and vegetables to the pot with the roast, cover and cook for another 30-45 minutes, until the pork and veggies are fork tender. Let's see what the others are sharing today! Sounds delicious! Reminds me of the Brady Bunch..."pork chops and applesauce". Truth be told, I have never tried parsnips, so this might be the perfect recipe to introduce myself to them. Thank you so much for the recipe and for linking all the others! 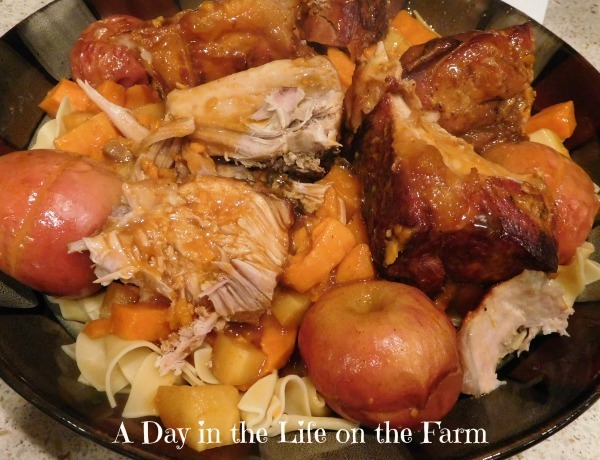 Thanks, Vicki, for including Apple Week in your linkup this month. I think you will love parsnips. My favorite application is to toss them in olive oil and roast them to a golden brown. This just screams fall! I can see why your guest was so impressed! My son made it last night to take to work with him today. I'm anxious to see how they liked it as well. That roast looks delish! 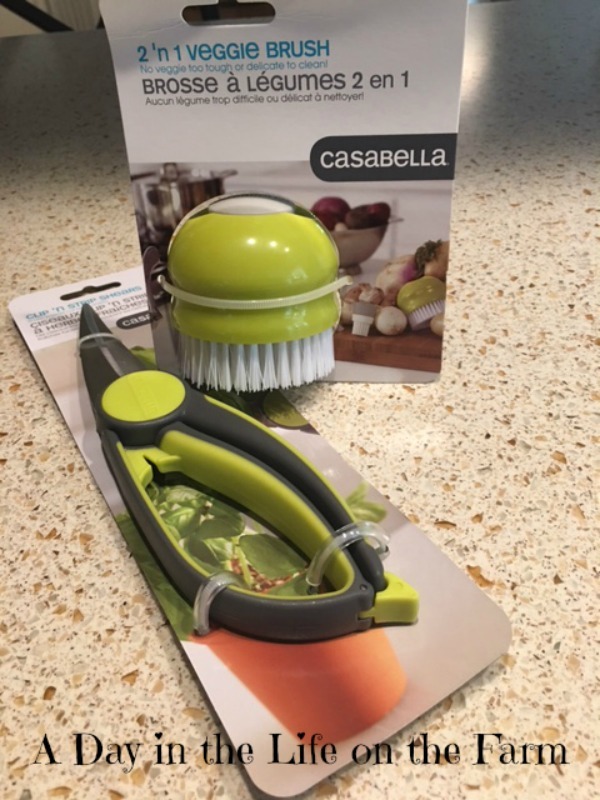 I love that little vegetable brush too! Me too, and it has an insert that comes out and is soft enough for mushrooms. Hope you win that package, Paula. What a great fall roast! Thanks for sharing on the All Things Apple Celebrate 365 Blog Party! Thanks Val and thanks for stopping by. I will be trying this! Thank you for sharing at our apple celebration of Celebrate 365 Blog Party!